DELIA'S Cleaners is excited to announce that we've joined Tide Dry Cleaners, the most trusted experts in the fabric care industry! We will be transitioning over the next few months and appreciate you making the change with us. At your new Tide Dry Cleaners location, you will receive the same exceptional customer service and cleaning expertise, as well as new benefits that only Tide Dry Cleaners can deliver. Tide Dry Cleaners shares our core belief that customer service is the cornerstone of our business, so rest assured that you will still receive the same high quality, personal service from the DELIA'S staff that you've come to love. Your DELIA'S Cleaners account details, including payment information will be transferred automatically for your convenience. If you prefer that your information is not transferred, contact us at 602.431.8560. We will be converting all DELIA'S Cleaners locations across Phoenix to Tide Dry Cleaners over the next few months, and will be certain to keep you informed throughout the process. We are thrilled to expand the Tide Dry Cleaners brand and to join some of the most influential leaders in the dry cleaning industry. Thank you for being our valued customer. You can learn more about Tide Dry Cleaners at TideDryCleanersAZ.com. 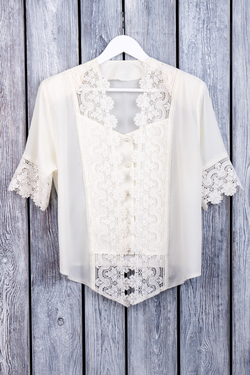 We often are asked for tips on caring for items like blouses and button down shirts. First, read the labels. Any that require dry cleaning should be brought to us without question. 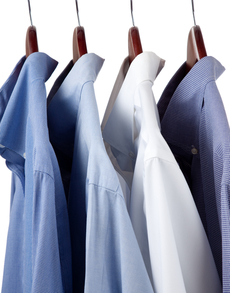 Many business shirts also fare better with professional cleaning/laundering, pressing, and finishing. Our experts ensure every shirt looks like new before its returned. However, if you prefer trying home cleaning, these tips can help. Unbutton each button. Pre-treat stains (this can be tricky depending on the cause). Select the settings based on the delicacy of the fabric. Wash. Dry in a dryer until slightly damp, then hang to dry, press, and hang in a closet immediately to avoid wrinkles and dirt. Wash all silk items by hand. Fix any issues immediately including missing buttons, loose threads, small tears, worn cuffs and collars, and torn seams. Special Trims Need Special Care! Garments with embellishments or trims, like lace, sequins, beads, embroidery, appliques, and other details require special care. Here's how you can be sure. 1. Check the care label. If the instructions say, "exclusive of trim," it may mean the trim will not hold up with normal laundering, even though the rest of the garment might. 2. Check the trim to see if it is glued or sewn on. If there are no visible stitches on the front or back, it may be glued. Many glues dissolve with home detergents, causing the trims to come loose. In these cases, it's best to bring it to our professionals for cleaning. Note that some sequins and beads may be hand painted. These may lose color over time whether cleaned at home or professionally. In addition, regardless of the cleaning process used, plastic gems will cloud as the foil backing deteriorates. There is a scientific reason our GreenEarth® Cleaning Process make clothes look and feel better. Liquid silicone (essentially liquid sand), the main ingredient in GreenEarth, is chemically inert meaning that it won't react with fibers or other materials. It simply and effectively carries the cleanser to your clothes and then gently carries away dirts and oils. Since GreenEarth is light weight and has extremely low surface tension, it can penetrate fabric fibers and rinse away dirt in a unique, more thorough and efficient manner. 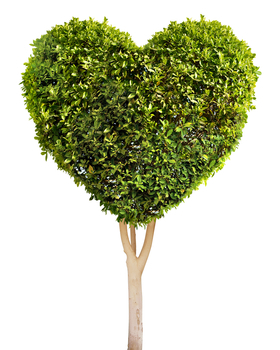 In essence, GreenEarth cleans without being abrasive or aggressive, without leaching dyes or damaging trims, and without causing shrinkage. That's why it is so safe and effective for even the most delicate garments and trims. Watch for next month's Fresh Press for ValueClub member savings on gowns.